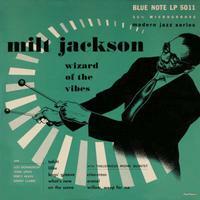 Wizard of the Vibes was originally released on the Blue Note label in 1952 by premier jazz vibraphonist, Milt “Bags” Jackson thus its fitting title. Jackson appears in fine form here alongside The Thelonious Monk Quintet (Monk, Art Blakey, Sahib Shihab, Al McKibbon) and his primary group The Modern Jazz Quartet (John Lewis, Percy Heath, Kenny Clarke) plus Lou Donaldson. Wizard of the Vibes will be reissued in its original 10” form as part of the overall Blue Note vinyl initiative spearheaded by current President, Don Was. 15. Ready Boy & Girls?